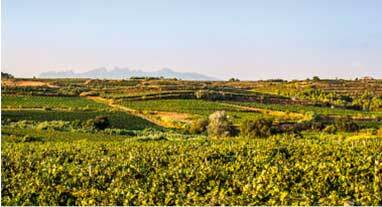 People are surprised when we refer to the sparkling wines from Penedès as a wine. 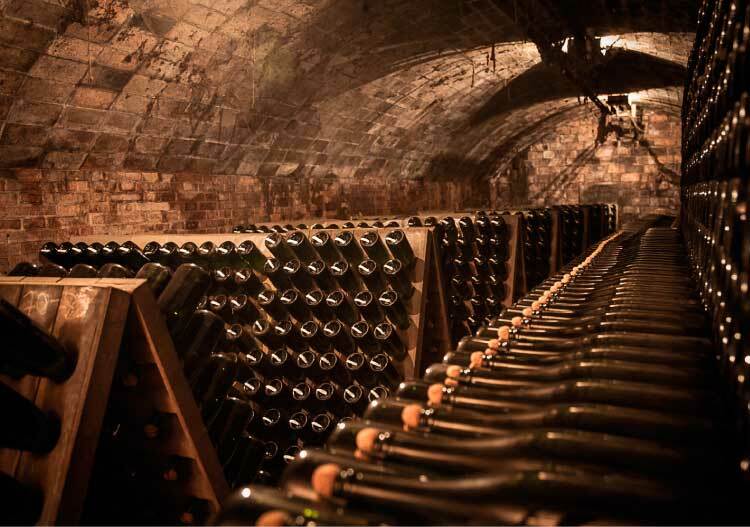 The world’s sparkling wines produced using the traditional method, also known as the traditional method, are in fact ‘wines twice over’, as they ferment for a second time in the bottle. It is only through this process that we can create unique sensations: scintillating freshness, joy and finesse that over the years will become elegance and complexity. Two very hackneyed adjectives often used in the wine world, but not often explained. Our wines allow drinkers to discover aromas and flavours, which they are not used to discerning. “Elegance” refers to the balance and harmony between all these aromas, flavours and textures. “Complexity” refers to the array of aromas released by the wine. These are usually less immediate yet deeper – iodine sea-type flavours, damp fallen leaves at the foot of a tree, truffles, dried fruit and nuts, roasted coffee and cocoa beans, butter, yeast, and occasionally notes of brioche or toasted bread, caramel or exotic spices, such as curry or saffron…. Penedès’ stable Mediterranean climate usually allows us to harvest good quality grapes and make consistent quality vintage sparkling wines. 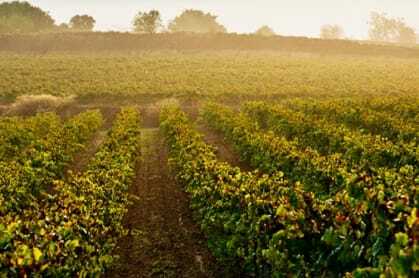 Each year we are able to produce these wines from different grape varieties and vineyard parcels. We also make our sparklings from a single estate or single varietal. During the harvesting, the parcels and their soils, the age of the vines, the grape varieties and their balance of acidity and maturity at the time of picking, are all taken into account and have been meticulously recorded. All these variables create different styles of wine and provide a broad palette of colours and tones which the oenologists will work from to create their work. We refer to all these possible combinations as ‘coupage’. This is when the skill and experience of the human being become art, the art required to create the best possible blend. These blended or coupage wines will become what we refer to as “sparkling base wines”. 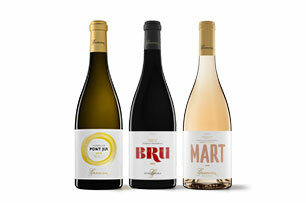 Every one of each year’s wine will have a different coupage which will shape its character and part of its personality. 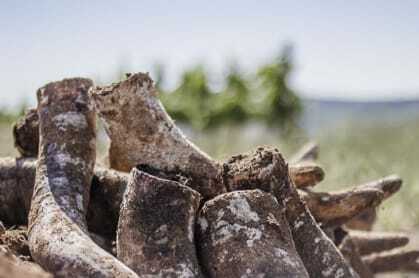 The Macabeo provides finesse; the Parellada provides fragrance; and the Xarel·lo forms the backbone and structure which create wines with body, freshness and character, and gives them their greatest potential for long ageing. The Chardonnay brings elegance and depth; the Pinot Noir, vinosity and body. Yeasts and sugar are added to our base wine which we then leave in a sealed bottle, the same bottle which, at the end of the process, will be opened and served at the table. This operation is known as tirage. Once inside the bottle, the yeasts start to act on the sugar, turning it into alcohol and releasing natural CO2, as in any fermentation process. The difference in this case is that the CO2 remains trapped inside the bottle and is gradually absorbed into the wine. 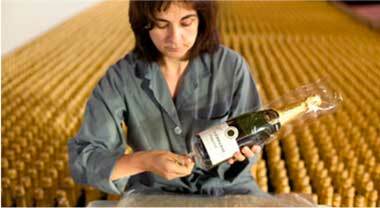 This gives birth to the coveted fine bubbles contained in sparkling wines made according to the traditional method. There is a saying, ‘wine is the only way to package time’. 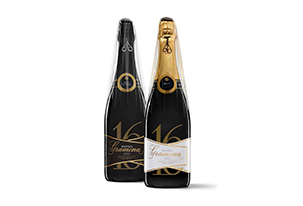 ‘Time’ is also the key factor in turning this wine, already fermented a second time in bottle, into the very fine sparkling wine that a sparkling from Penedès can become. 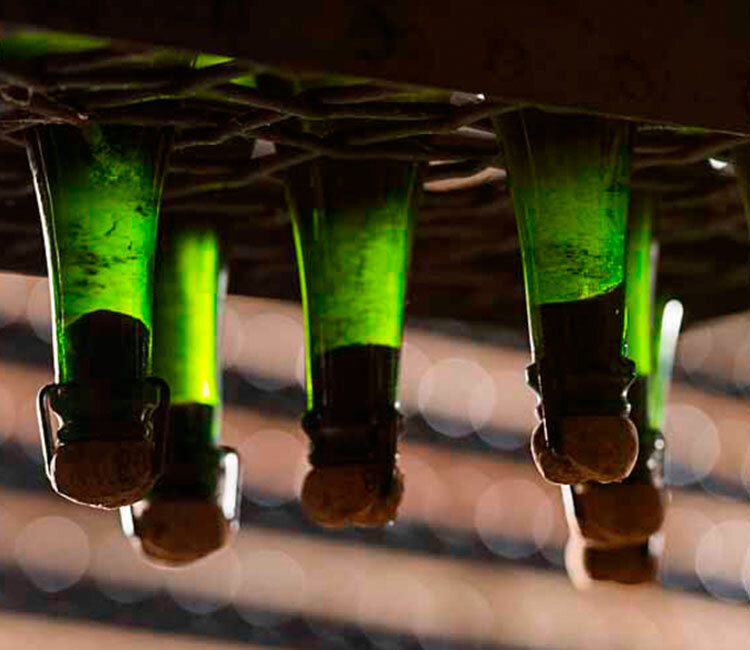 We create sparklings for laying down, which requires a controlled ageing process, extending the time the wine remains in contact with the yeasts. To achieve this, it is essential to possess exceptional raw material and to carefully manage the processes at each stage of production. The ageing process, or ‘upbringing’, is regarded as being a time of instruction, guidance and growth. Over time, and time alone, the sparkling will become more and more refined and its spirit grows until it reaches its plenitude. 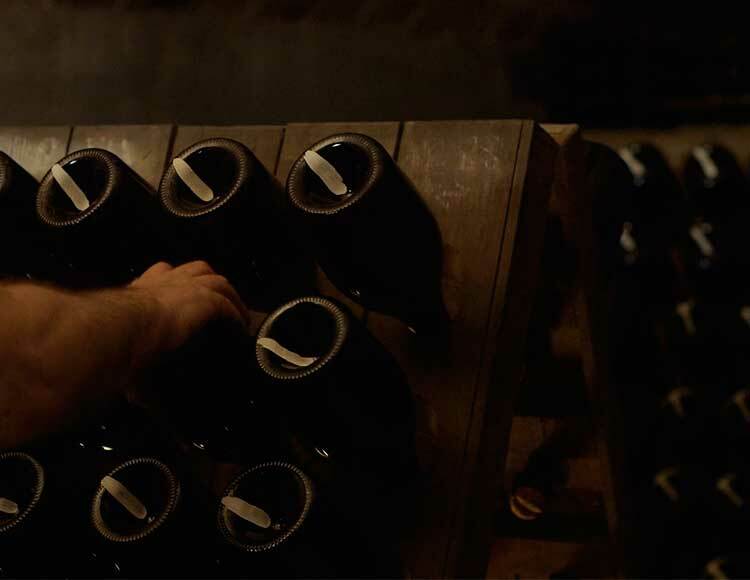 Each bottle will develop its own personality, the product of the genetics of its land, the character of its base wine and the education received during its ‘upbringing’. 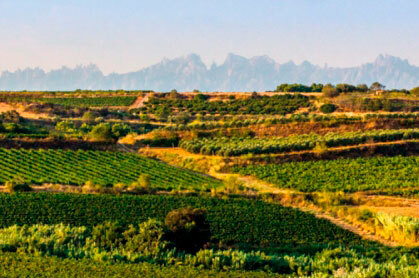 Formerly planted throughout the Mediterranean basin, today the Xarel·lo grows mainly in the region of Catalonia. We consider this grape variety to be the DNA of Gramona: the more it is present, the greater a wine’s ageing ability and laying down potential. 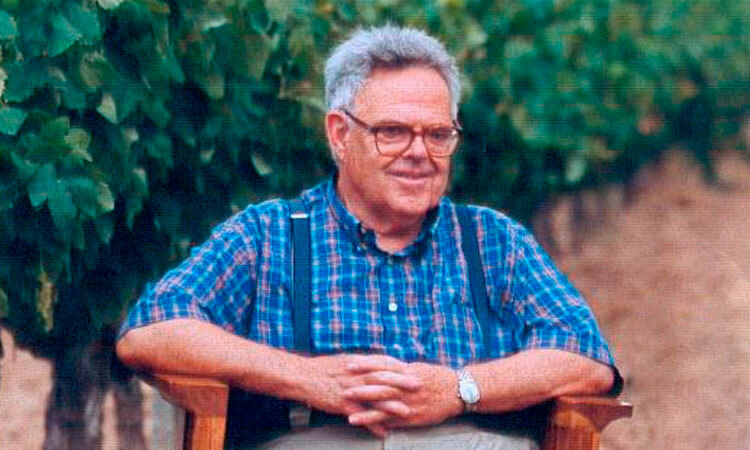 Generations ago, we realized the potential of this unique grape, which develops slowly and is remarkable for its ability to remain fresh and lively. At first this was only empirical knowledge and experience, but in 1997, science proved us right. 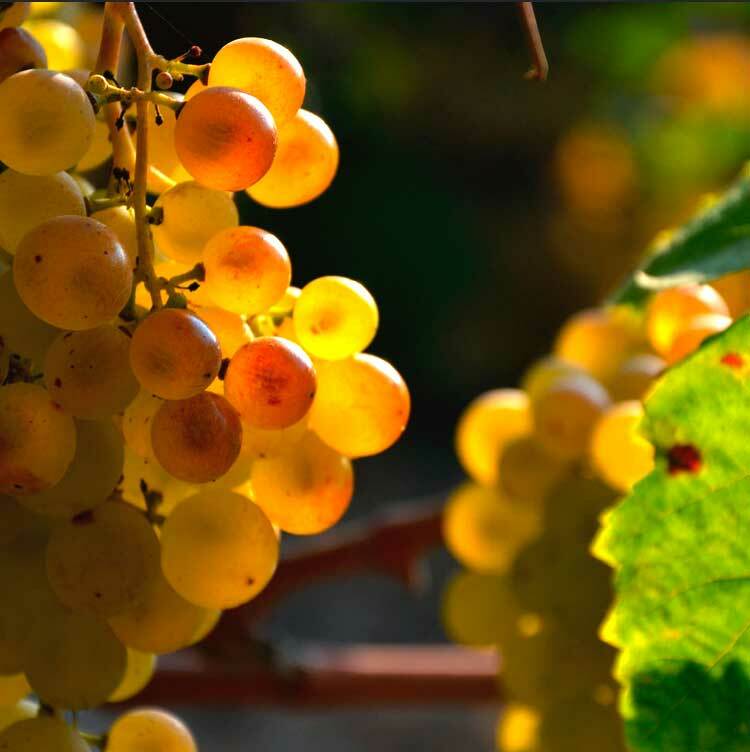 The University of Dijon was the first to confirm that the Xarel.lo is the white grape variety containing the highest amount of resveratrol and other potent antioxidants, even more than those found in some red grape varieties. This was later corroborated by the University of Washington, which states that the Xarel·lo has sufficient strength to withstand long years of ageing, retaining a young body as the wine develops. 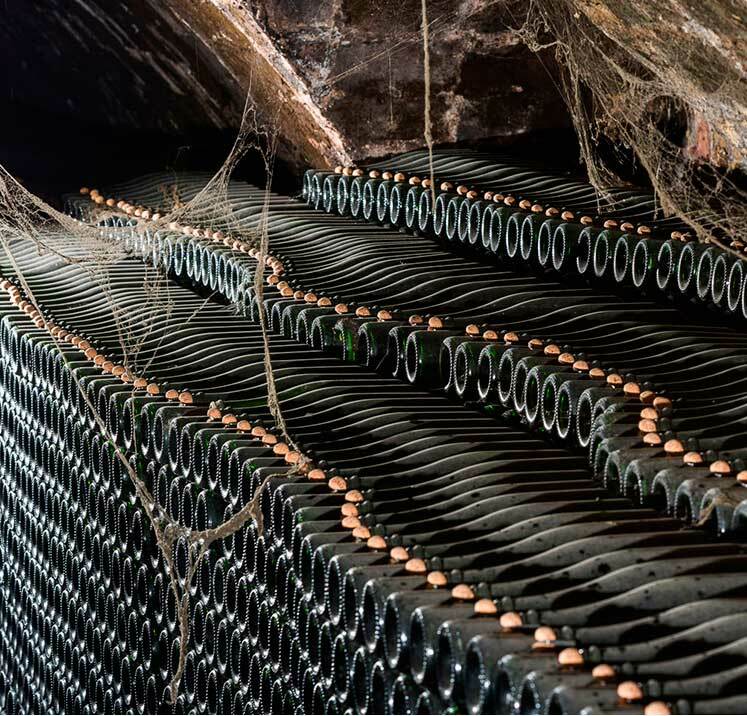 Our sparkling wines are subjected to a minimum ageing period, which is much longer than that imposed by the various sparkling wine regulatory boards around the world. 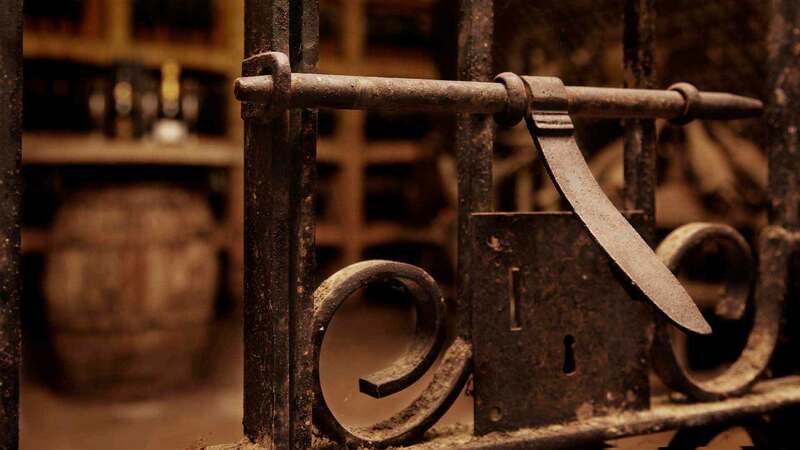 Our average ageing period is currently 6 years, more than double that required for a Gran Reserva. As an example of this, you only have to look at the 50+ months that Gramona Imperial, Gramona’s flagship sparkling, spends ageing, or the 7, 10, or 12+ years ageing undergone by our III Lustros, Celler Batlle and Enoteca, or the little gems in the “Colección de Arte”, which today have spent 15 years in our cellars and are still being aged. After about 2 years of ageing, the phenomenon known as autolisis kicks in. This involves the degradation and interaction of the yeasts with the wine. It is only after very long autolisis periods, that we obtain sparkling which possess creaminess, freshness, balance, complexity and a unique personality. 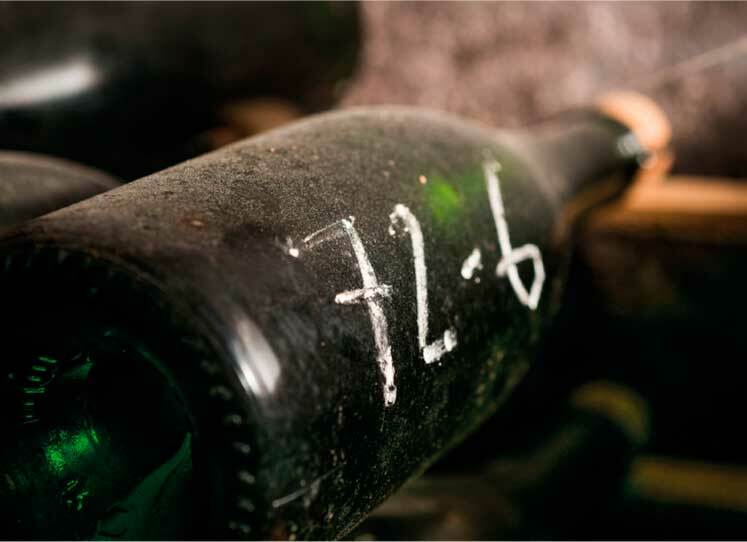 We believe that the long years spent ageing with the yeasts in the bottle is the only common denominator among the finest sparkling wines in the world. 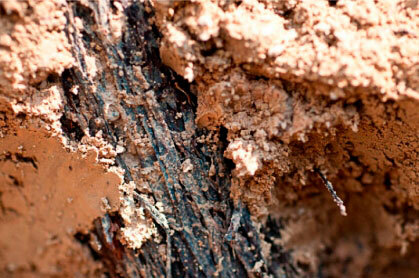 We select yeasts from our vineyards to optimize their contribution to the wine. 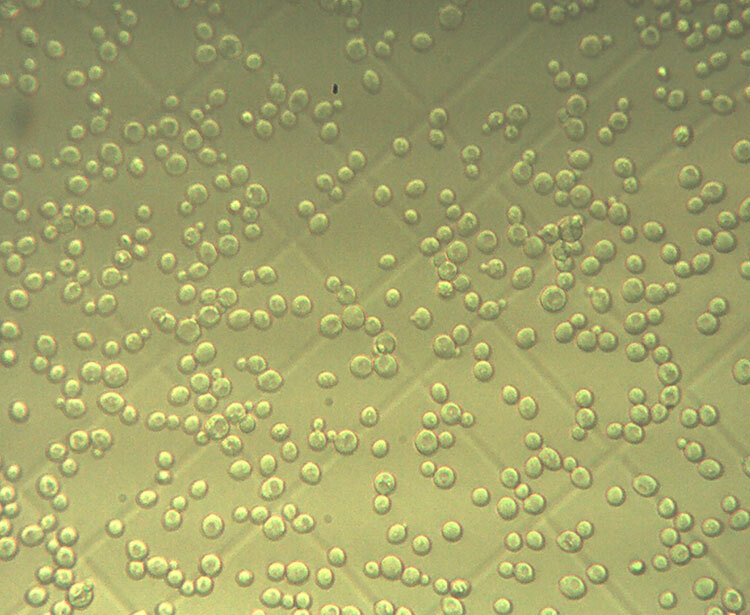 The greater the enzymatic capacity of the yeast, the better the autolisis will be. 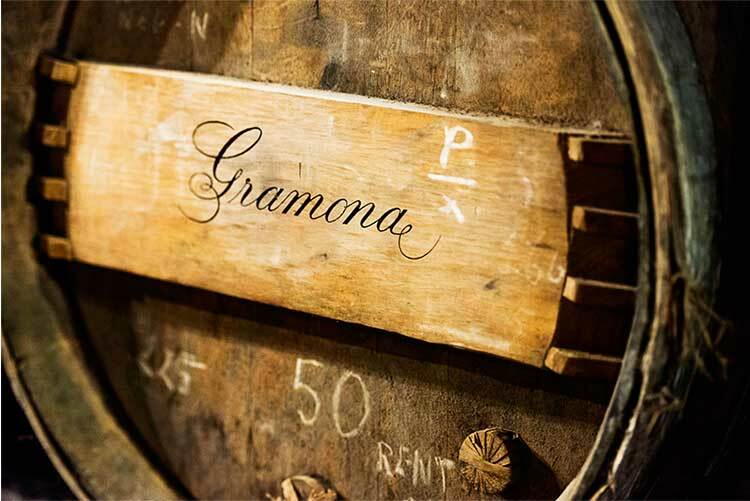 To succeed in the complex task of sustaining freshness over long ageing periods, Gramona has preserved a number of craft processes which allow us to defy the time spent in the bottle. 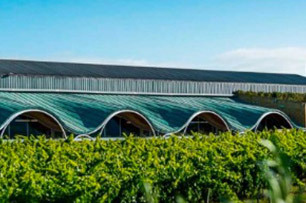 We understand and combine the tried and tested techniques of the traditional method with the scientific discoveries and technological advances continually taking place in the world of wine. 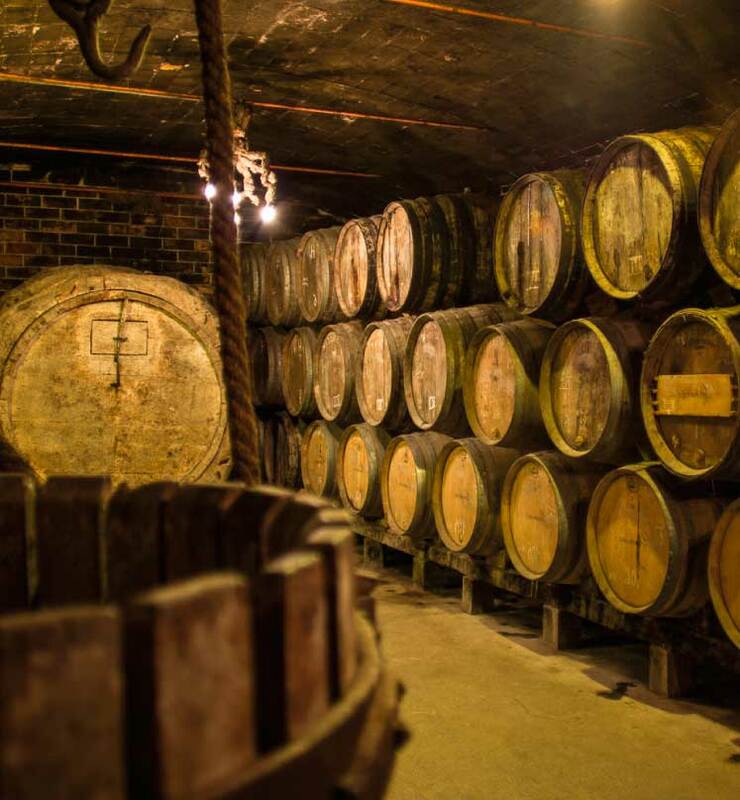 The ageing process takes place in the dark, quiet atmosphere of the cellars, with bottles lying on their sides, referred to as being en latte. These formations of bottles, a great display of balance and beauty, are hand-constructed by our staff. 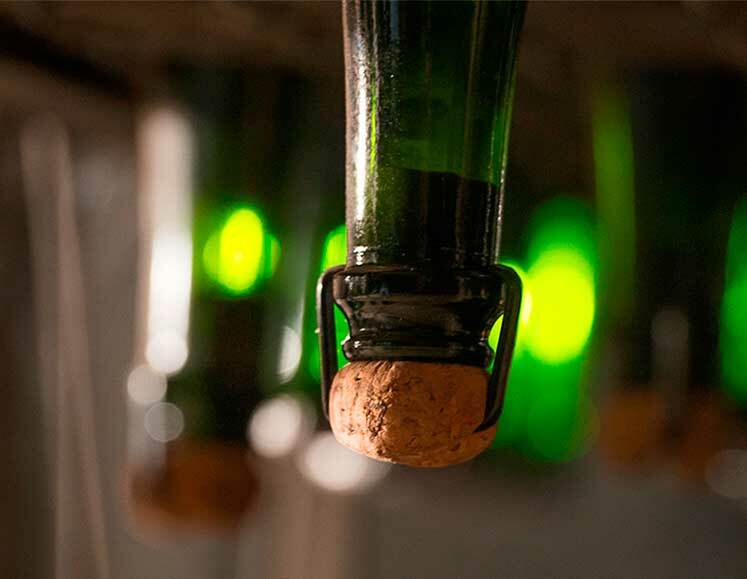 50 years ago, all the world’s producers of sparkling wine made according to the Traditional Method used cork stoppers for the second fermentation. Due to the increase in volumes produced, the cork stopper was progressively abandoned and replaced, in the early 70’s, by a crown cap and a polyvinyl seal. This enables the rest of the production process to be mechanized. Gramona has stayed with the cork stopper because, according to the scientific studies carried out to date, it is the best guarantee of hermeticity, yet still allows the exchange of oxygen necessary for the optimal action of the yeast over extended periods. 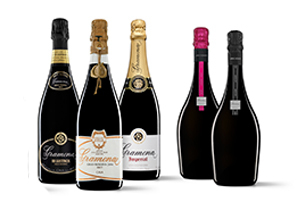 Gramona uses a cork stopper for the ageing of all of its sparklings aged over 5 years, as well as for the Argent range. 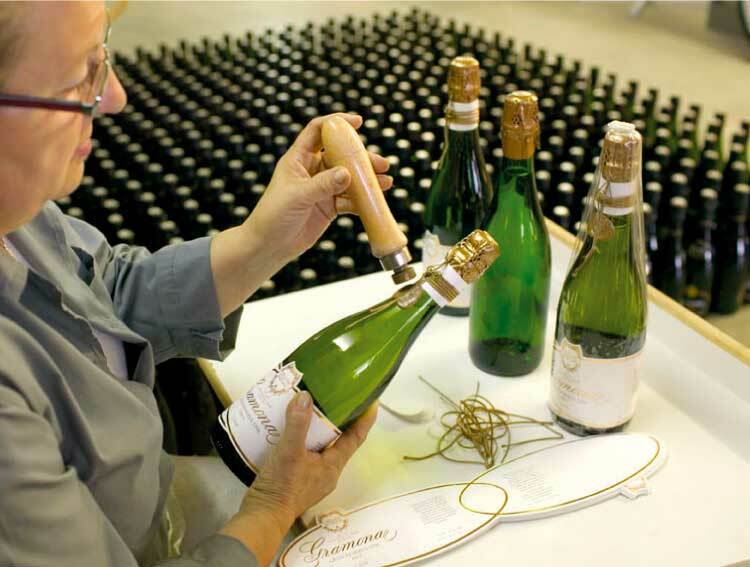 Due to the use of the cork stopper, all the processes carried out on the bottles have to be performed by hand. 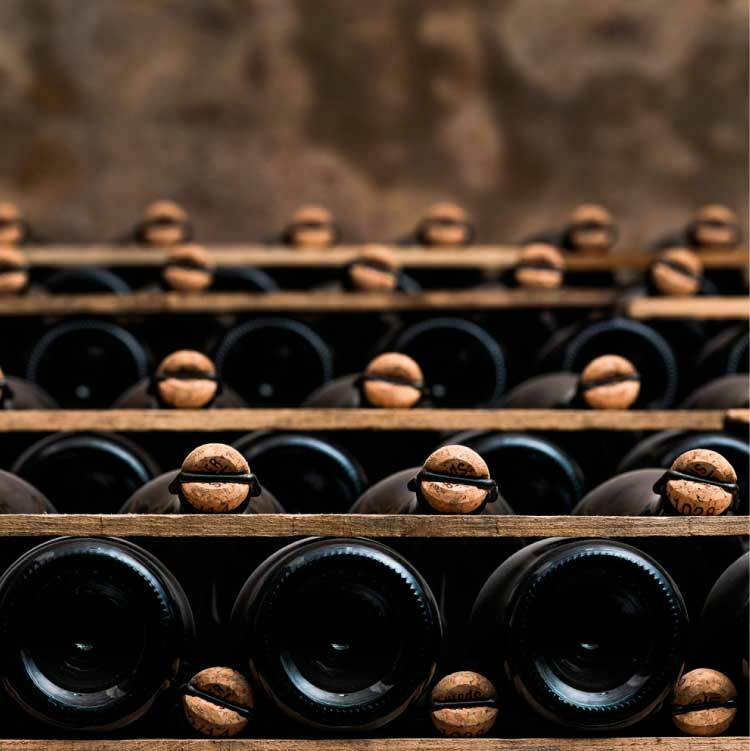 A regular operation, only necessary during long ageing, where each bottle resting sur latte receives a quick shake by hand – entire blocks en latte are shaken up in this manner. This is carried out to optimize the effect of autolisis, increasing the surface area in contact with the yeasts and preventing these from sticking to the side of the bottle. 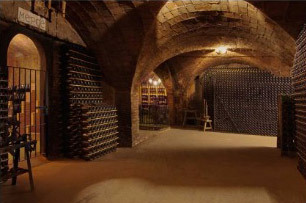 A technique used for centuries by cellar masters. Gramona upholds this tradition using the skill of qualified staff. 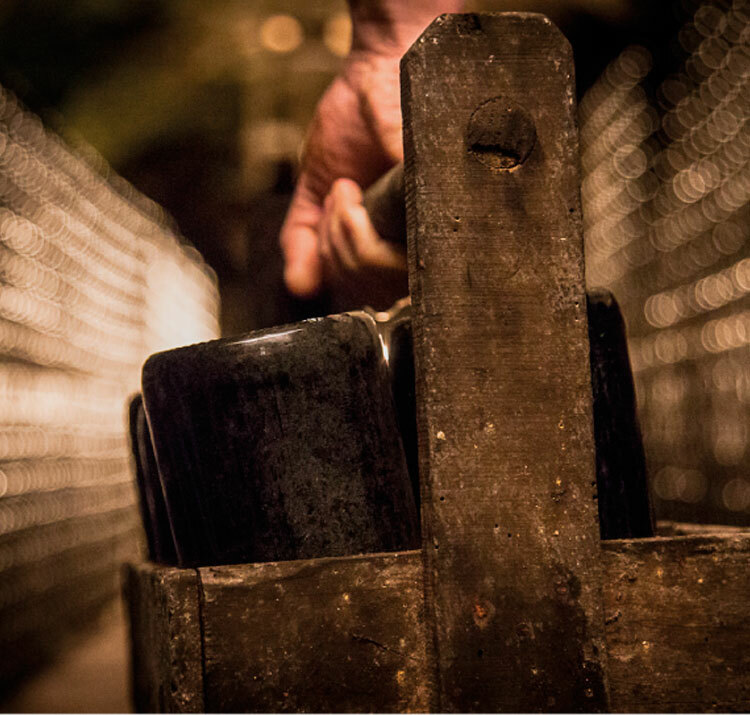 We mark the bottles resting in the riddling desks with lime to control the rotation process during riddling. 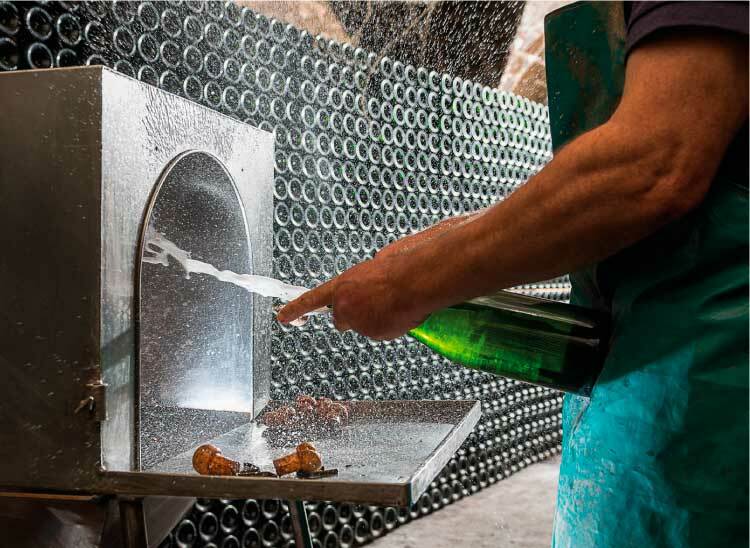 Riddling consists of giving the bottle a 1/8 turn each day with an agile flick of the wrist, shaking, rotating and tilting the bottle at the same time. 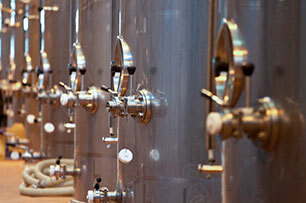 In this way, we ensure that the yeast sediment accumulates in the neck of the bottle ready for disgorging. This is the removal of the yeasts in order to obtain a perfectly clean sparkling wine. Because Gramona uses corks, we have to employ a team of specialists who work at a speed which is 30 times slower than that of a machine. The sparklings are disgorged using a very precise hand movement in order to lose as little of the liquid as possible. Every bottle is smelled to detect any irregularities and the visual clarity of the wine is checked. 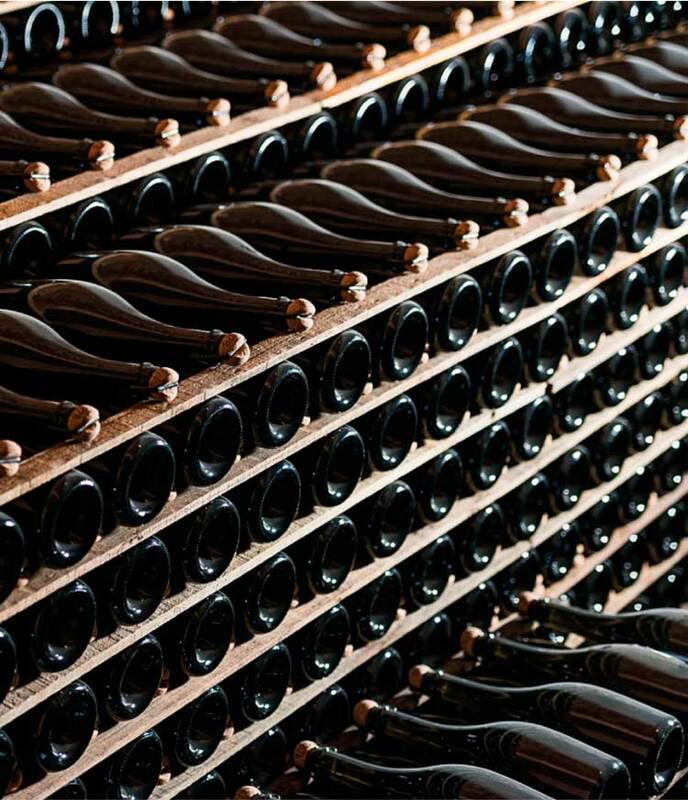 The small quantity of liquid expelled by the high pressure when the sparkling is disgorged is replaced using another bottle of the same wine or with the dosage. This is the final stage, just after disgorging, and before the bottle is sealed with its final cork. A small amount of expedition liquor, also knowned as dosage, is added to the sparkling wine. This operation is necessary to replace the liquid expelled during disgorging. If this dosage or liquor is dry, the sparkling will be a Brut Nature. If the dosage of the wine contains a liquor which is slightly less dry, it will be a Brut, which is the case with most champagnes. 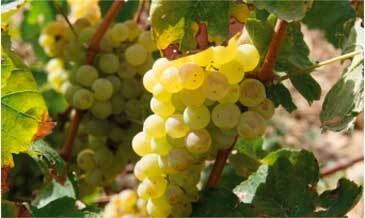 If the sweetness of the liquor is increased, the sparkling will become sweet and make a good dessert wine. The role of the dosage within the sensory development of the wine will vary according to the style of the sparkling. Each one of our wines has a specific dosage. This can vary depending on the year. 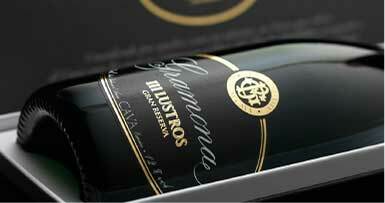 It is always very moderate and always respects and enhances the beauty and balance of our wines. Even today, at the age of 85, Josep Lluis Gramona is actively involved in the production and selection of this licor de expedición alongside Gramona’s team of oenologists. This licor adds another dimension to Jaume Gramona’s repertoire, creating a palette of new shades from which to choose the perfect finishing touch. The dosage gives Gramona sparklings their unique, distinctive touch. It goes back to the late 19th century, to a time when the family traded in wine and chestnut casks that, at the time, were used for sherry. Today, our dosage is created through a system of soleras and criaderas made up of our old casks which contain some century-old ‘mother’ sediments. The care and attention lavished on the production of our sparklings require the perfect finish. Many of our labels, as well as the wax seals and the cellophane, are applied by hand, and have become a Gramona hallmark.